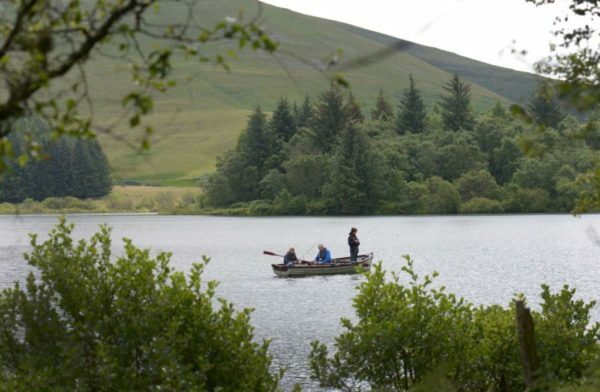 The loch is over 100 acres and offers the very best pike fishing in Scotland, if not the UK. Your fishing guide will offer boat or bank fishing and provide all the fishing tackle needed. 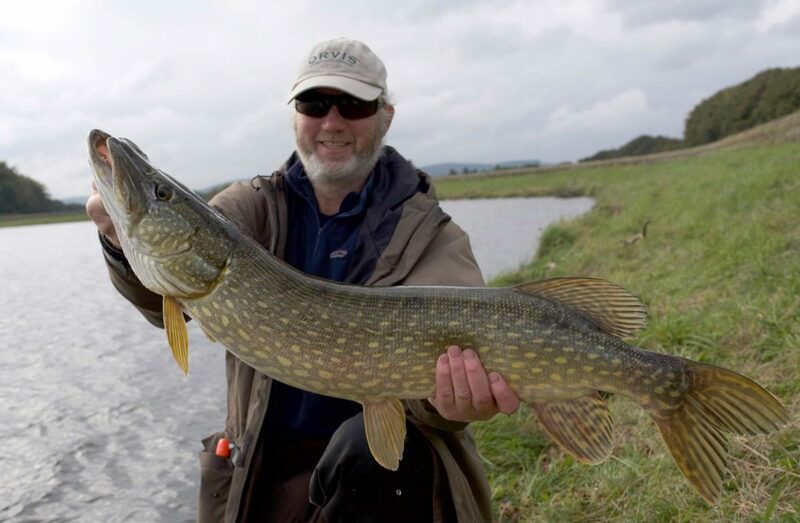 If you are having a fishing holiday in Scotland, this Scottish pike fishing trip should not be missed. Where is this pike Loch? 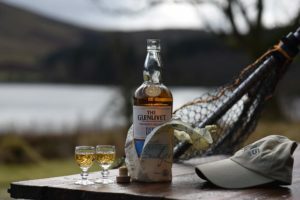 Located a short distance south of Edinburgh ( 1 hr 45 minutes Glasgow) this beautiful loch set in a wilderness and accessed only by a small private (locked) road, is the perfect stage for an unparalleled sport with this magnificent species, fishing is all catch and release. These pike average 8-9 pound with 15-20lb not uncommon. How does your pike fishing day go? We will collect you from Edinburgh and you will enjoy a short drive through the countryside to the south of Edinburgh to the loch. There is a superbly appointed fishing lodge to enjoy tea and coffee or a welcome dram. Fishing is either from boat or bank, depending on the time of year and conditions. Both produce sport and you only need to look through our TripAdvisor reviews to get a sense of how good this place really is. 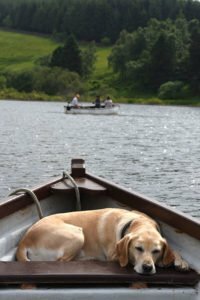 If you are looking for stunning scenery, high catch rates and a great day out from Edinburgh or Glasgow, choose this fishing package. Accommodation in River Tweed House (30 mins south)from £75 per night. A double room with 4 poster would be £100 per night bed and breakfast rate. 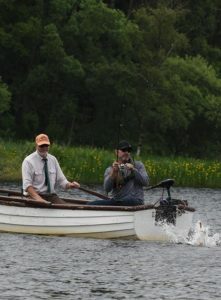 This is a guide to the fishing techniques for catching pike in the 4 seasons in Scotland, and specifically at this loch where we fish, near Edinburgh and Glasgow. Spring – Pike are still lethargic in early spring and slow to come on to flies or lures, so bait fishing is the most successful technique. We use Shimano and Daiwa bait runner reels and fish with fresh mackerel we caught on our sea fishing trips. 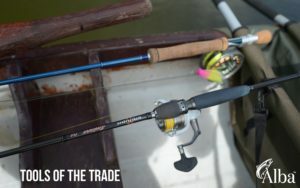 We don’ t advocate using wire traces, and prefer to use 110lb mono traces to a semi-circle hook(de-barbed) The mono is less like to cause damage to the fish if it goes into a “death roll” and the semi-circle hooks usually guarantee the fish is hooked in the mouth and therefore easy to release. 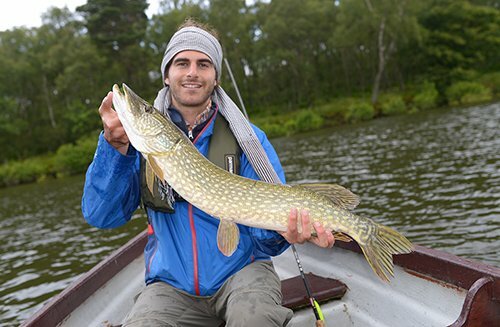 Summer – Pike are now chasing lures and flies. For lure fishing, we like to stay mobile and go out in the boat and target the shallows, close to the bank or under overhanging trees. This is where accurate casting helps. We use 6-7ft light spinning rods, usually made by Sakura or HTO and a 2500 or 4000 reel suffices loaded with good quality braid. Delalande long shank jig heads are my choice as they enable you to fish a longer soft shad.